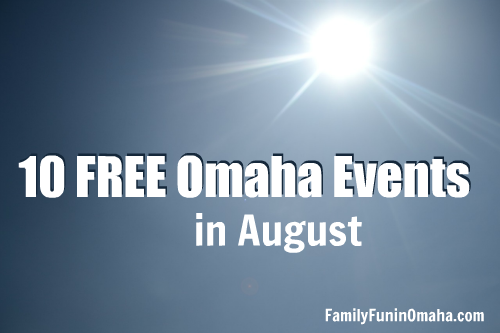 Enjoy many family-friendly events coming up in the Omaha area, including these 10+ FREE Events in August! 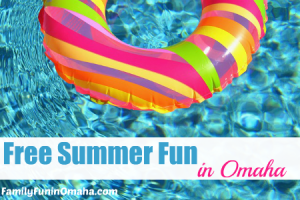 FREE Summer Fun in Omaha – Your guide to Spraygrounds, Movies, Fishing Events, + more! Hydrant Parties – The City of Omaha’s are held Mondays, Wednesdays, and Fridays through August 3rd, and Council Bluffs are held on Tuesdays and Thursdays through August 9th. Free Outdoor Movies in the Omaha Area – Sumtur Amphitheater, Bayliss Park, and Midtown Crossing! See more August Fun below (not free, but value-priced)! 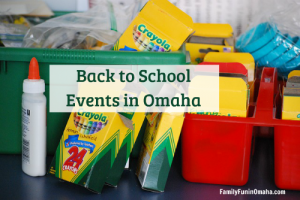 Find more information about these events and other Back to School Events and School Supply Drives here! Enjoy the cool indoors with Love on a Leash therapy dogs who are ready to listen to kids read stories, an icy craft, some model trains featuring refrigerated cars and lots of cool partners. The Dodge House, Henry Doorly Zoo, and Spielbound Board Game Café will all be at the museum to chill out with guests. Location: Union Pacific Museum, 200 Pearl St, Council Bluffs, Iowa. Bookworm Bookends. Hands-on workshop and you and your child can build. Kids enjoy the bounty of the garden! Harvest fresh produce and use it for a fun snack. Ages 3 – 7. Location: City Sprouts, 4002 Steward St., Omaha. Harry and the Potters make music about books, and you don’t have to be a fan of the Harry Potter books to enjoy their music! This free concert is for all ages, and doors will open at 6:30 p.m.
Omaha Area Community Celebrations – Valley Days (August 11-12), Arrows to Aerospace, Bellevue (August 16-18), Millard Days (August 21-26), and Dundee Day (August 25). Includes many free events, check each event for further details. Hydrant Parties – Council Bluffs are held on Tuesdays and Thursdays through August 9th. Free Outdoor Movies in the Omaha Area – Flix at the Chef, Sumtur Amphitheater, and Bayliss Park! Together with The Omaha Children’s Museum, they will bring Dr. Seuss’ classics to life with experiments and silliness inspired by the legendary books. Location: Regency Court (Center Court), 120 Regency Parkway, Omaha. The Amazing Bubble Show, presented by the Omaha Children’s Museum. Location: Shadow Lake Towne Center Amphitheater, 72nd Street & Hwy 370, Papillion. Come practice your chemistry skills at the library and make awesome gross slime. Ages 7-12. Location: A.V. Sorensen Branch, 4808 Cass St., Omaha. Bring chairs and blankets and watch an outdoor movie showing of The Secret Life of Pets. 10% of sales from the food trucks will benefit their local charity partner, Hands, Hearts and Paws. Event opens at 7 p.m. and the movie begins at dusk. Location: 14510 F St., Omaha. Always a popular event! Air performers and static displays. 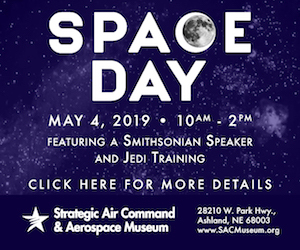 Parking is available on and off base. Both on and off base public parking will have free shuttle buses to take people to/from the show and will run throughout the duration. Off base locations are South Roads Mall, Bellevue University, Bellevue East High School and Bellevue West High school. Find Helpful Tips for Visiting Here! Discover what’s in bloom in the butterfly garden and wildflower meadow, and dip nets to investigate the tiny critters that live among the arrowhead and duckweed plants. Free Heron Haven Fieldguides. Enjoy painting a watercolor in the Butterfly Gardens. Location: 11809 Old Maple Rd. Omaha. 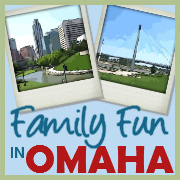 Omaha Area Community Celebrations – Valley Days (August 11-12), Arrows to Aerospace, Bellevue (August 17-18), Millard Days (August 21-26), and Dundee Day (August 25). Includes many free events, check each event for further details. Free Outdoor Movies in the Omaha Area – La Vista presents music by Blue House followed by the movie Jumanji: Welcome to the Jungle! Join the Omaha Public Library in the garden each month for stories that celebrate gardens, plants, insects and more, and discover the joys of nature, movement, music, and literature. Programs are presented one Friday per month from June through December 2018, and are a geared for preschool aged children, but all ages are welcome. This is a FREE program. Bounce houses, food trucks, jumbo yard games, live music, and a professional fireworks display. Admission is free for the activities, food truck fees apply. Join in for Fancy Nancy stories, creative movement, music and more, followed by a fancy tea party with crafts for all Fancy Nancy lovers. You are encouraged to dress up for the occasion. Childcare groups, please call in advance. Location: Benson Branch, 6015 Binney Street, Omaha. How many different creations can you create with just 25 LEGO pieces? What if you could only build using the bricks chosen for you by a dice? Can you create and solve the secret codes using LEGO bricks? These challenges and more will be available for you to complete. Registration, open to 20 kids. Location: Saddlebrook Branch, 14850 Laurel Ave., Omaha. Showcase of vintage automobiles. Free admission to General Crook House Museum. Children and parents will have the chance to take free rides around the fort in select vintage vehicles and enjoy live entertainment. Location: Historic Fort Omaha, 30th and Fort Streets, Omaha. All active and retired Military families are welcome for free. Let us thank you for your military service with a weekend of free programs. See schedule of events here. The Forest will still be free to active military families through Labor Day. Join in a free day of emergency preparedness training. Learn how to put together emergency kits, get a free will and health screening, and more. Co-sponsored by the American Red Cross, Children’s Hospital & Medical Center, and Church of Jesus Christ of Latter-day Saints. Family Day is an opportunity for families to take part in hands-on STEAM experiences that explore various themes of REALITY. Kids (and adults) are encouraged to create through the exploration of design thinking. Supplies are provided while they last. Location: KANEKO, 1111 Jones St. Omaha. 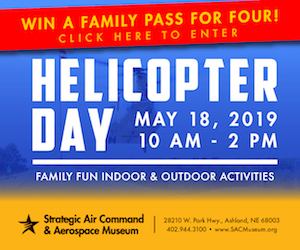 Kids, accompanied by their parents or guardian, can explore emergency and military vehicles, semi-trucks, bobcats, race cars and other commercial vehicles and talk to the people who operate them. Scripps’s 5 Radio Stations will invade Stinson Park from 11a-4p to put on the World’s largest Husker Rally. Get autographs from former Huskers, including Mike Rozier and Will Shields, and hear exclusive Q&A sessions. Plus, enjoy free fun for the whole family with a Kids Zone, Biggest Husker Fan Fashion Show, and more! Show your Husker spirit for the chance to win tickets to a Nebraska game this fall. Girls and boys will compete in the following age divisions (as of 12/31/18): 6, 7, 8, 9, 10, 11, 12, 13, 14 and 15. The winner of each age division will be determined by the cumulative score of the three skills – punting, passing and kicking. Winners will qualify for the state competition on Sunday, October 14, at Nebraska Wesleyan University in Lincoln. NO CLEATS ALLOWED. Register online at www.cityoflavista.org/PPK through August 23 or in-person the day of the event. Registration and check-in at 3 p.m., contest begins at 3:30 p.m. Location: La Vista Sports Complex, 66th Street (south of Harrison Street), La Vista. On these days, volunteers portray life at an 1820’s military fort. Special Events: The TC-135 aircraft will take off from Offutt Air Force Base and fly over the park at 12:15 p.m., August 4. Living history interpreters will bring the fort’s history to life all weekend. Visitors will also get a peek into Native American traditions, with dancers performing on Saturday, and hands-on activities, such as arrow making and traditional games, taking place on Sunday, August 5. A State Park Entry Permit is required. Take in the beauty of the annual Perseid Meteor Shower. Meet at the park entrance at 8:30 p.m. & bring your lawn chairs, blankets, binoculars & telescopes. Participants must purchase a $3.00 per vehicle daily entrance pass or have a Pottawattamie Conservation Foundation membership to attend this program. Daily entrance passes may be purchased with exact change or check at the front gate and may be purchased the day of the event. Every Tuesday from Memorial Day to Labor Day, admission for all ages will be just $5 after 5 p.m. During this promotion, all admission levels will be granted the $5 admission and children 2 and under remain free.